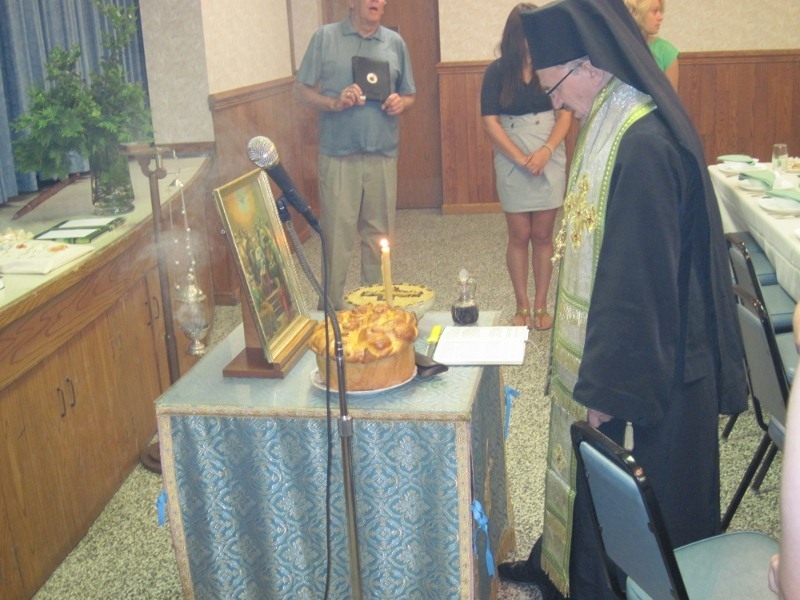 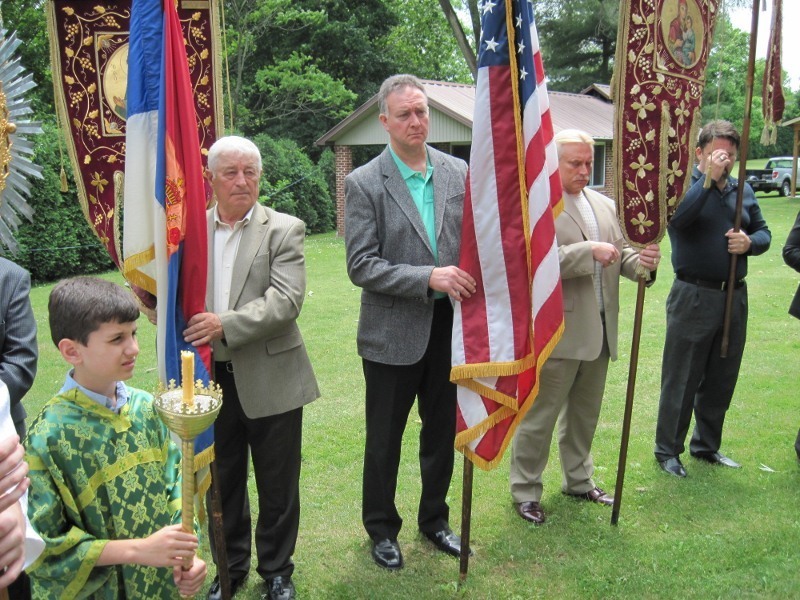 Youngstown, OH - His Grace Bishop Mitrophan served the Holy Hierarchical Liturgy on Pentecost Sunday, June 3, 2012 at Holy Trinity Serbian Orthodox Church in Youngstown, Ohio. 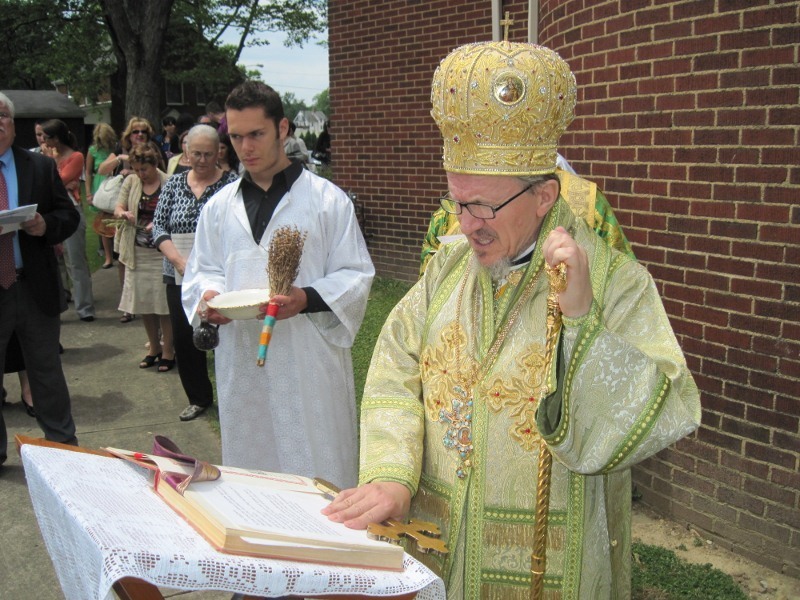 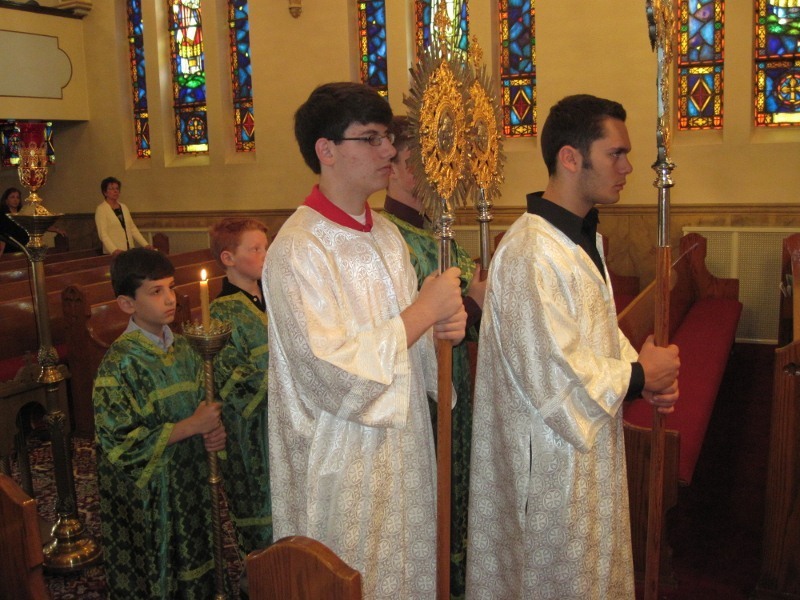 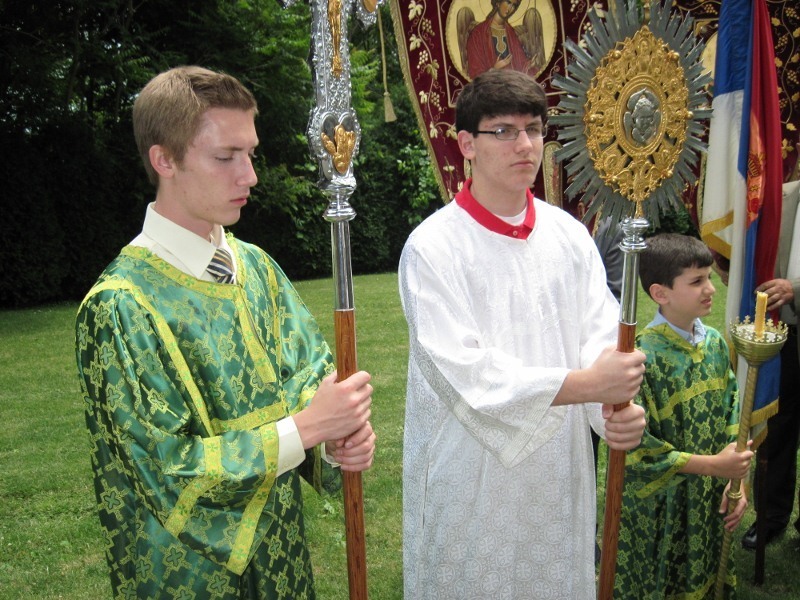 He was assisted by Protodeacon Milan Medakovich. 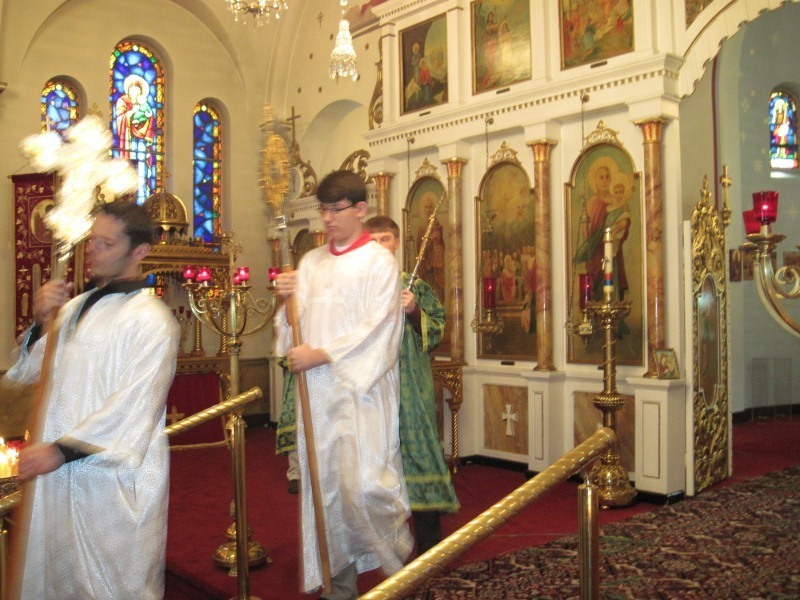 Vespers were served after Liturgy followed by a procession around the church. 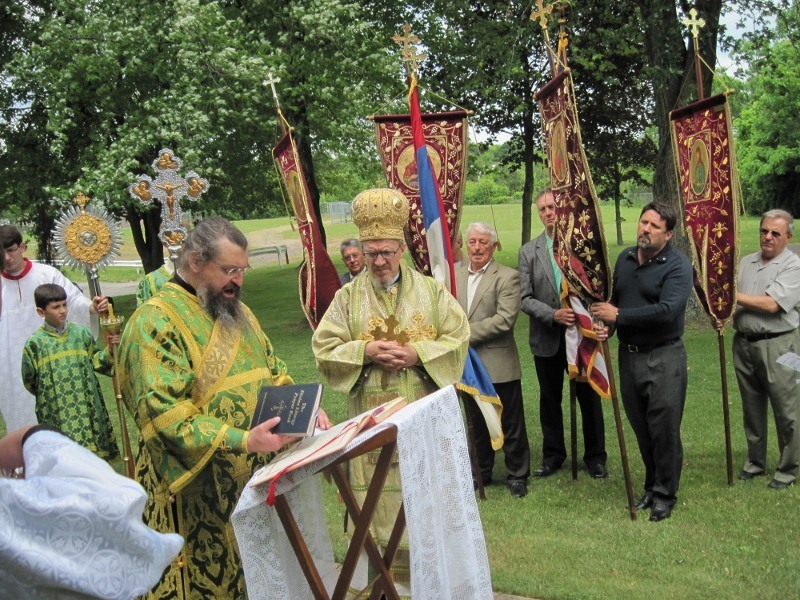 A Slava banquet was held in the Holy Trinity Serbian Memorial Hall afterwards, which was prepared and served by the Kolo Srpskih Sestara. 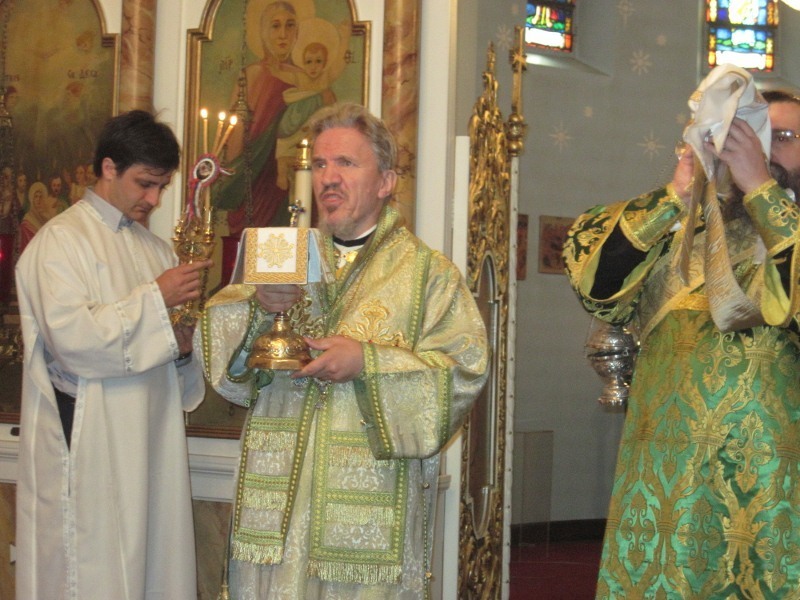 His Grace gave a very inspiring Sermon and spoke of the significance of the descent of the Holy Spirit, and that it was not until Pentecost that the Holy Apostles understood Christ completely. 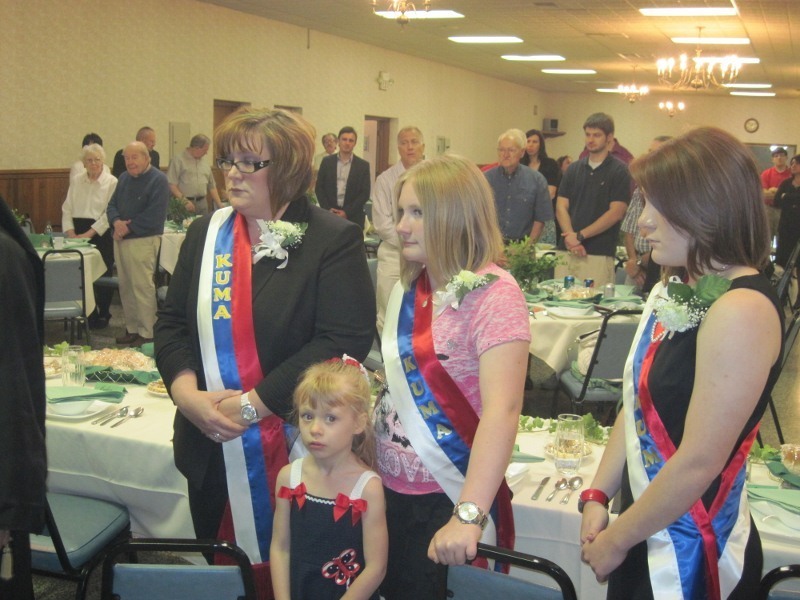 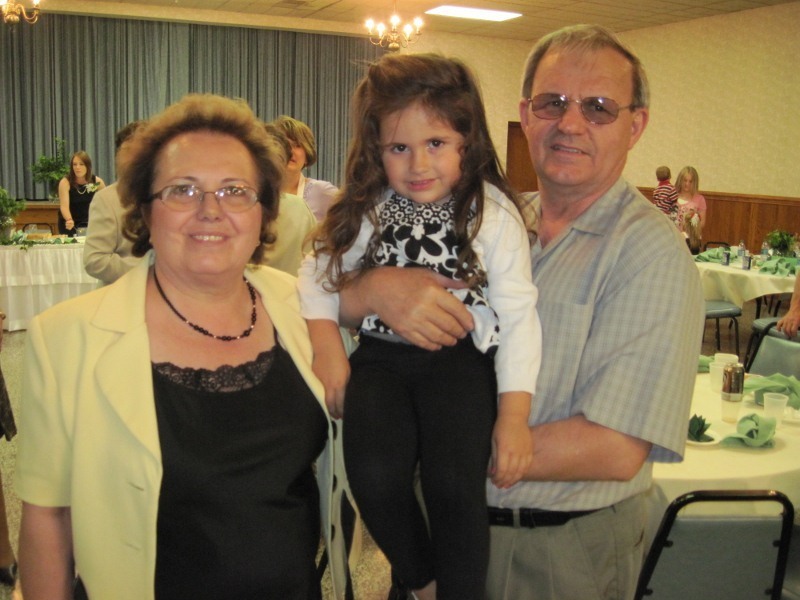 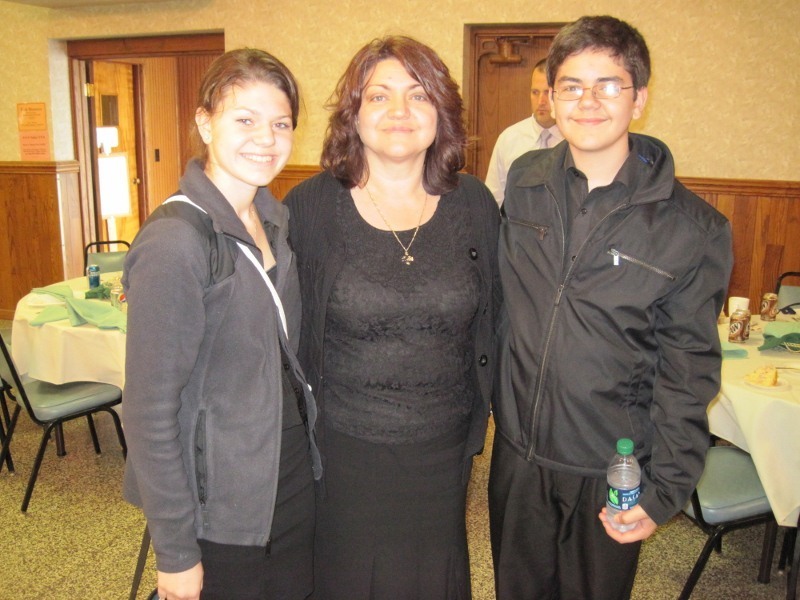 Kumovi for the Slava were Mrs. Joamie Hanlon and daughters Macy and Mia. 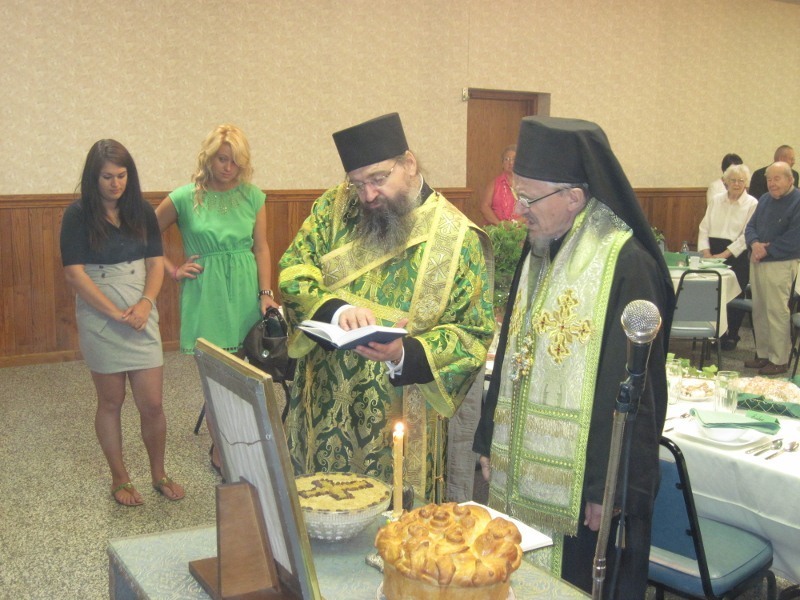 During the banquet high school and college graduates were honored for their accomplishment and presented with a gift from the church school congregation - Holy Bible for high school and an Icon of their Patron Saint for college. 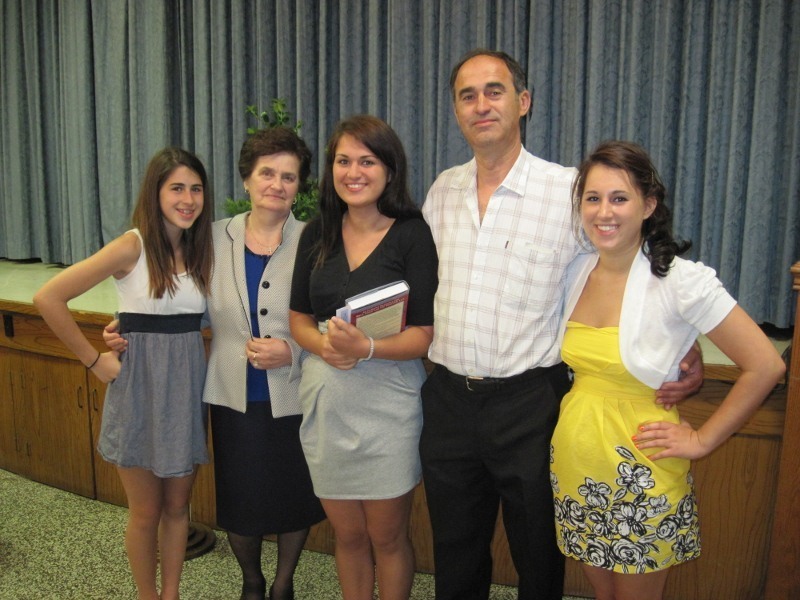 Graduating from college is Brittany Danilov and High School graduates are Stephanie Budaker, Dragan Juzbasich, Marina Neskovich, and Ivana Zarkovic. 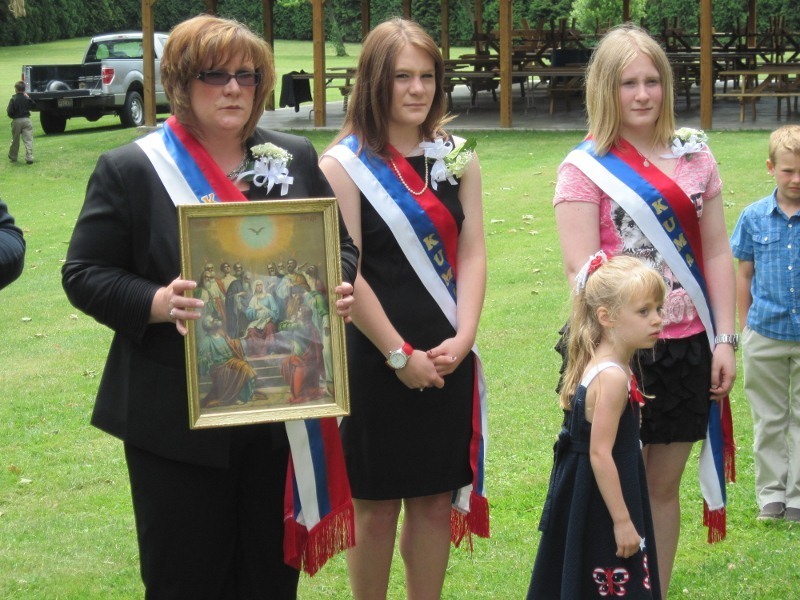 May God grant them many years - Ziveli, Na Mnogaja Ljeta!